JACK CAMPBELL – Long time resident of Swanbourne, interviewed by Frankie Fisher and Clive Rodgers on 12.12.2012, aged 94 and three months before he died. Written transcription by Vanda Bennett. For the full PDF copy of the first interview transcription, click HERE:- Interview 1 Jack Campbell. 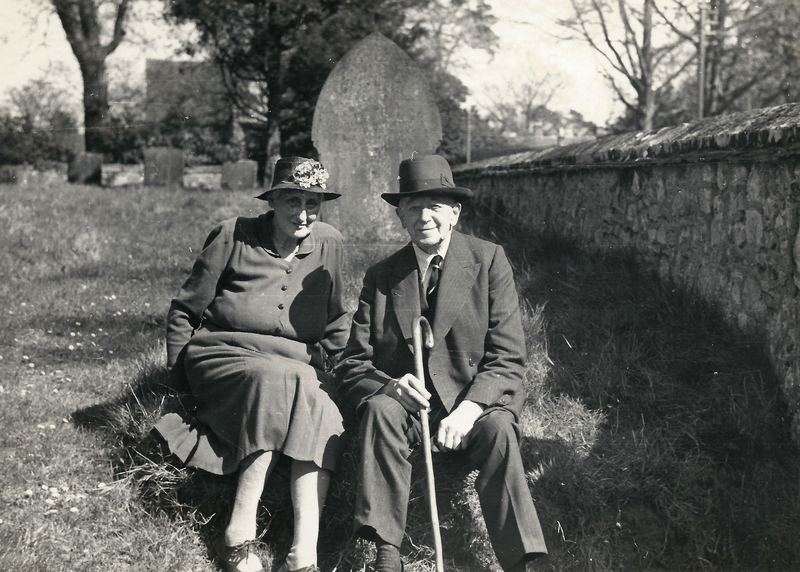 Photographs of Jack & Margaret Campbell in PDF:- PHOTOGRAPHS OF JACK CAMPBELLJack was also interviewed by his son Paul in January 2013, only about six weeks before he died. Transcribed by Linda Rodgers. Repetition of the name Thomas Fremantle can confuse the reader. Florence Tapling was the wife of the third Lord Cottesloe and was born in 1875 and married in 1896. Her husband was 10 years her senior. From 1890 the Old House, Swanbourne, was their principal residence. She had seven children, two of whom died young. Thomas Francis her first son died of wounds in the First World War and Edward died aged 11 of chickenpox while away at school. She was a big woman, clumsy looking with a deep voice. 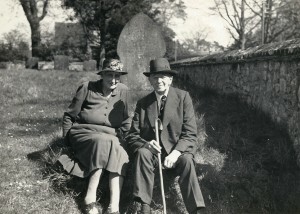 According to Ken Reading, “she was a person of forceful character with a keen interest in social matters and no lack of reforming zeal.” She was certainly a great organiser of people, making arrangements for the confinements of estate wives, for example, Jean Dyke the Butler’s daughter and Ruth Rowe, daughter of a farm worker. When, in the Second World War, the lawn of the Old House was used as a hayfield, she always told Frank Alderman, the farm manager, when it was ready to cut, but he didn’t always take notice! She was very generous, sending gifts to the estate families and arranging for them to have holidays at Wistow, the Fremantle’s other home. She did a great amount of the children’s education and was on the Board of Governors for the Charlotte Mason Schools Company management committee. She also helped local children whom she saw had ability and her daughters all went to university, not common at that time. She set up the Bucks Health Visitors Association, and arranged for the employment of Gladys Alderman as Swanbourne’s health visitor. Always concerned about health and hygiene, when the family went to Studland on holiday, she always took two cows in the guard’s van, to make sure of tuberculin tested milk. She brought many poor children from London and settled them in Swanbourne. In the Second World War, she organised hospitality for many evacuees. She was busy in the church and supported the work of the parish council. She was a woman of deep Christian faith who was full of God works, if a little overbearing. Her husband said, ”She thought she was democratic, but she was really autocratic!” She always used the influence she had for the sake of others and her work in the village was truly appreciated. Nancy was born and raised in Swanbourne, and spent the better part of 80 years living in the village. Her family had farmed Hensmans farm since 1843. Although her father was working on the farm, they lived in the Manor House where Nan was born, and did not move to the farm until her grandmother had built, and moved into, Glebe House on the Winslow Road. * There was a bakery (now the Tea Rooms) operated by a Mr. Ovens, a Russian émigré who adopted the name to suit his trade. *(Please note:- In reality this assertion is not true. It is not proved by a subsequent search of Parish & Census Records; the suspicion that this is a complete misconception derived from rumour has been confirmed by one of Mr Ovens’ grandchildren. The family originated from Wiltshire). There was also a Co-op which the Fremantles had started up for the village. This used to be inside a thatched cottage which stood where the garages next to Corrie Barn (now the Old Barn) on the Winslow Road now stand. A butchers shop in Nearton End, complete with a shop front that can still be seen, used to supply meat to the village. Mr. Newman, a mobile greengrocer, used to call at the village, selling fruit and vegetables from his horse and cart. Since most people grew their own vegetables, they would just buy from the cart to supplement their own stocks. Nan’s family had an orchard, and this provided them with apples throughout the summer and winter, right through until March each year. During the 1920’s it was possible to get imported fruits such as bananas and tangerines, but they were mainly reserved as a treat for Christmas. These fruits became more easily available from the 1930’s onwards. Nan remembers that they would go to Aylesbury for their big shopping trips. It would take about one hour to travel from Swanbourne to Aylesbury by pony and trap, and the family might make this journey about once every three months or so in order to visit the dentist, buy clothes, or other goods that may not have been so readily available in Winslow. She remembers that during these trips they would bring home some fish from the Aylesbury fishmongers, since there was no fishmonger in Swanbourne before the war. After the war, a mobile fishmonger called Mr. Lambourne moved into the village. He would ride his bicycle to Swanbourne Station to collect his fish supply, and sell it in Swanbourne on Fridays. He would visit other villages once a week, on his bicycle, and sell his fish. He sold mostly white fish and herrings. Mrs. Lambourne ran the Swanbourne Brownie troop. A cobbler also had a workshop in the village. He worked out of the small outbuilding in the front garden of the furthest of the row of three cottages next door to the Tea Rooms (which was the bakery at that time). Swanbourne also had at least 3 pubs. There was the Swan, now a private house, on the Mursley Road, the Boot, also now a private house in Smithfield End, and the Neptune on the Aylesbury Road. When she was five years old, Nan started at a small school in Whitchurch. She continued there until she was 9 years old, and moved to the High School for Girls in Brackley. In those days, the trains still ran between Swanbourne and Brackley, a journey which took about 40 minutes, with stops at Winslow, Verney Junction, Padbury, Buckingham, and Finmere along the way. She and her brother would leave home at 7.30 am and cycle to Swanbourne Station to catch the train. They would usually get back home at around 6.30 pm. They made this journey every school day for about one year, but their parents realised it was all a bit too much for them, and so they became boarders the following year. Nan was a weekly boarder and came home at weekends, while her brother, who went to MagdalenCollege in Brackley, was a full boarder and so came home for holidays. When Nan was 18 years old she went to London to train as a physiotherapist. After a short while, the bombing of London began, and so they were evacuated to Northampton to continue training. She then worked at the Radcliffe in Oxford for two years, and as soon as she was old enough, she volunteered for service overseas, and was sent to India. She met her husband, Bob, on the troop ship coming back from India. Bob was from St. Alban’s and had always wanted to farm, so he studied farming in Norfolk. 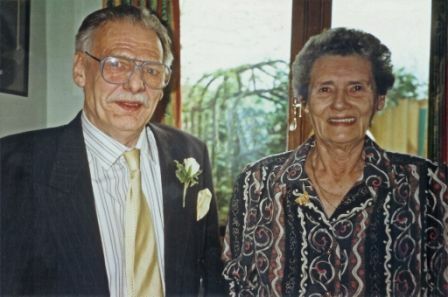 Nan and Bob got married while he was doing the course, and when he had finished he moved to Swanbourne and became partners with Nan’s father at Hensmans Farm. At the time the farm was a mixture of livestock and arable farming, but gradually became 100% arable. Bob and Nan spent 27 years in Hensmans Farm, and brought up 5 children there, but eventually Bob couldn’t continue farming due to a back injury, and so they gave up running the farm, and Bob took up a new career in insurance. Nan and Bob remained in Swanbourne, living in The Cottage on Mursley Road, until 1999, when they moved to Winslow.